A Vibrant Wedding's designer, Dimar Owens, has been a leader in innovating custom invitation designs and stationery and continues to to set new stationery trends today. She is a passionate invitation designer who seeks much of her influences from the flamboyant colors and exotic motifs of many different cultures. A Vibrant Wedding specializes in combining the most unique paper colors, patterns, embellishments, and graphics to ensure each invitation or event is an extraordinary work of art that reflects your celebration. We take great pride in our unique artistry and will assure you your guests will be excited about your special celebration the moment they open your beautifully crafted invitation. How fun are these VIBRANT summer wedding colors, Atomic orange and Fasionista pink. I do love color! 😍🍊🌺 This beautiful Caribbean wedding was in lovely Jamaica.❤️🏝👙 5×7”Gate-fold (trifold) style. 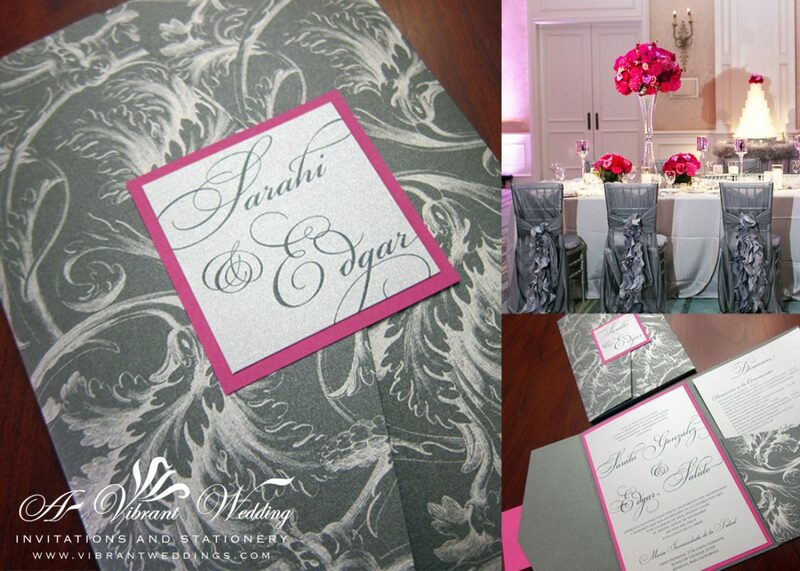 Custom invitations by A Vibrant Wedding. Contact us to schedule your complimentary consultation at (619)852-6886 or avibrantwedding@gmail.com. Fell in love with this elegant vintage wedding invitation suite with soft hints of lavender, blush and violet. Complete with the vellum and twine bellyband and the custom monogram wax seal.😍 Contact A Vibrant Wedding to customize your invitation.